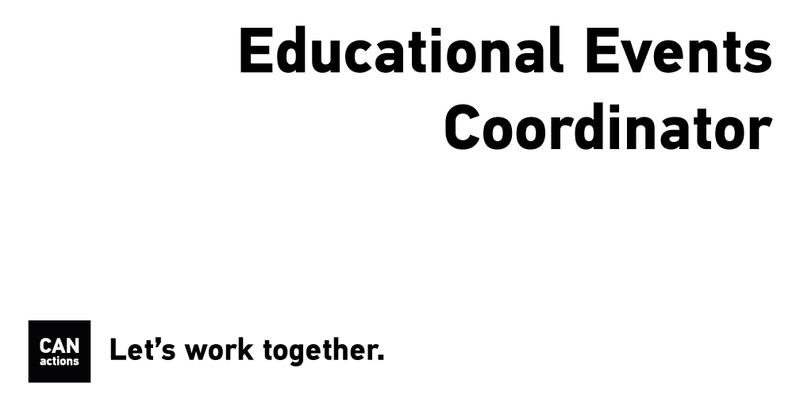 CANactions is looking for an enthusiastic coordinator of educational events in the field of architecture and urbanism. The position implies planning and preparation of educational events (workshops, summer schools, trainings) and public events (discussions, lectures, exhibitions), ensuring smooth logistics and good event experience for all participants. ■ strong command of social media management tool for event promotion, ability to provide qualified terms of reference to designer, web developer and manufacturer of printed matter. The work may also include performance of other duties, such as administrative tasks and occasional research. Test. Please plan a workshop on tactical intervention (making benches from second-hand materials) for 30 local activists to be held on September 1 in Zhytomyr. Expected product: a document that contains calendar with event preparation timeline, estimated budget and brief for the event. Format: single Excel file in English and Ukrainian.